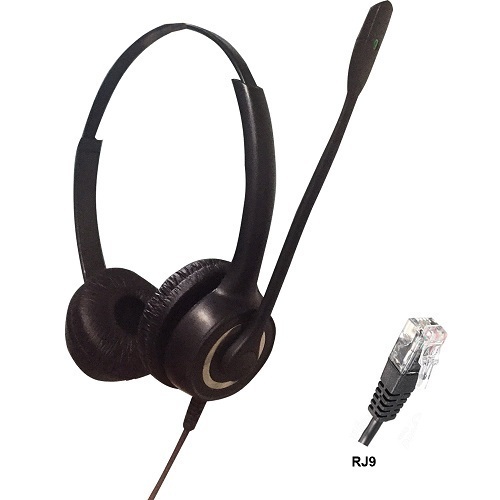 RJ9 Binaural Noise Cancelling Headset is best quality noise canceling headset you can buy right now. It sounds great and active noise cancellation is super effective for call centers and office environment. RJ9 connecting cord for IP phone, analog phone, dial pad, KTS, digital phone etc. Established in the year 2004, We “Aria Telecom Solutions (P) Ltd.,” are one of the leading and well recognised names in the field of designing and manufacturing of like IVRS, Voice Logger ( Telephone Recorder), Call Center Software, Predictive Dialer, Call Center Headsets, OBD IVRS, Bulk SMS & email. Our work also includes offering desired software support and other associated services as desired by the client. Right since our establishment, the business operations have seen rapid growth under guidance of our founder, Mr. Ravindra Saini His ethical business practice and visionary approach has helped us to expand involved business activities in domestic and overseas markets. Presently, we are serving clients based in India, Africa, Nepal, Bhutan, UK and Bangladesh. Today, the world class solutions offered by us are precision designed so as to flawlessly run on commercially available platforms. Here, for meeting specific requirements of clients, we can also design, develop and deliver customised solutions. Further, our team of experienced professionals also ensures that stable and highly functional software are designed to run on commercially available PC’s and also in Voice Processing Cards.